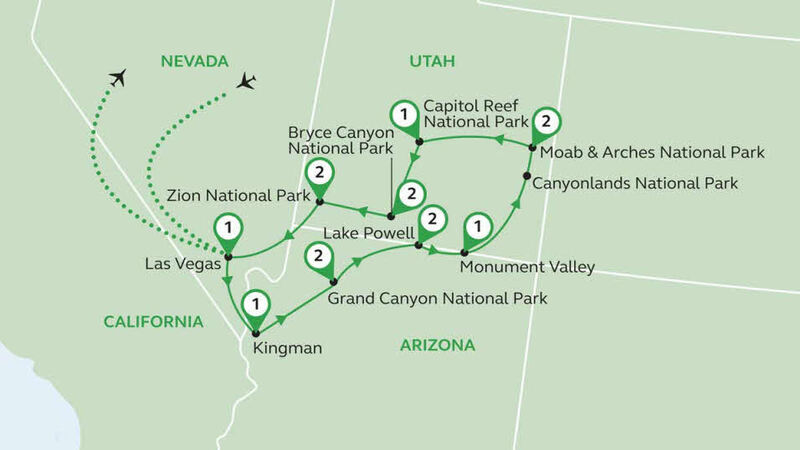 From the mighty Grand Canyon and the dramatic chasms of Canyonlands to the sandstone arches & balancing rocks in Arches National Park plus the monolithic movie backdrops that are the mesa’s & buttes of Monument Valley, this leisurely tour promises staggering scenery around every bend. Not to mention the glistening blue waters of Lake Powell and the bright lights of Las Vegas. 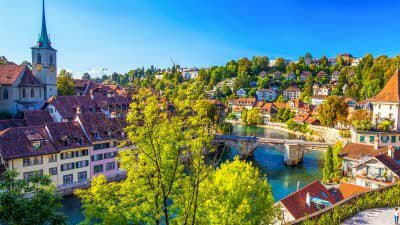 You can complete this tour in a motorhome from April to October - prices start from £2,995pp*. 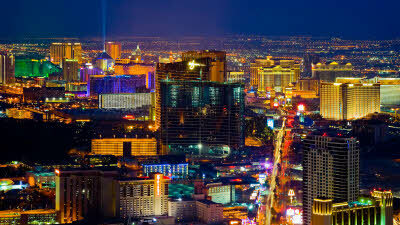 Arrive into Las Vegas in the early evening and watch the city come alive in neon. 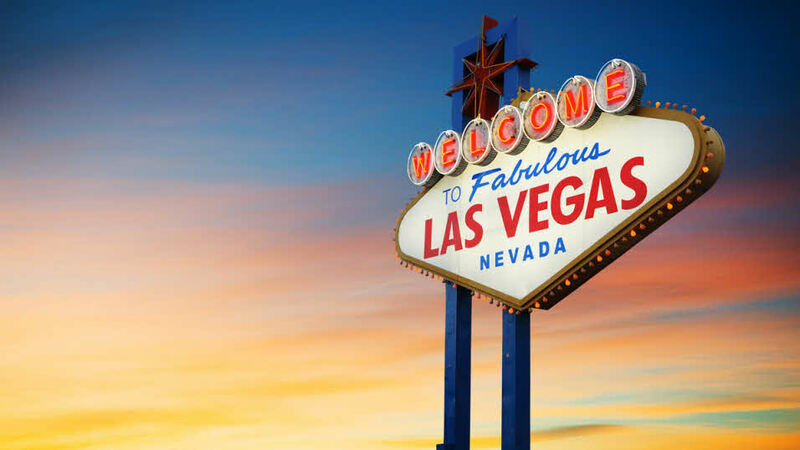 The strip is easy to explore and each hotel is a destination in its own right. With some of the worlds’ best entertainment dining and shopping, plus people watching on tap, you’ll easily fill your time. Transfer to the Las Vegas motorhome depot for a full orientation session before you hit the road. 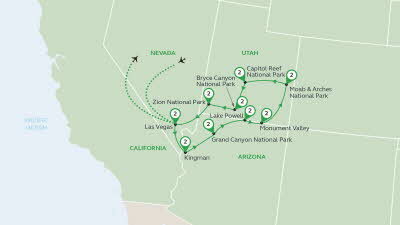 Start your journey via Lake Mead and the impressive Hoover Dam. From there, encounter your first taste of the old west in Chloride, home of the oldest silver mining camp in Arizona – now a ghost town. Wonder around the old buildings and get a real taste of what life was like in the early mining days. Then it’s on to Kingman, known as ‘The Heart of Route 66’. You’ll find this charmingly nostalgic town, crammed with quirky attractions, fun to explore. Cruise in the shadow of the Aquarius and Juniper Mountains as you head towards one of the ‘Seven Wonders of the World’ – The Grand Canyon. Just over an hour outside of Kingman, you’ll encounter another Route 66 gem – Seligman. Home of the Roadkill Café, it’s an Arizona institution and a great stop for breakfast. Nothing will prepare you for your first look at the Grand Canyon. It truly is one of Mother Nature’s finest works! The south rim offers hikes and walks for all abilities, or take a helicopter ride to the remote north rim. Be an early riser for a sunrise over the Grand Canyon you won’t soon forget. Journey through the Painted Desert to Lake Powell, a man-made reservoir on the Colorado River which straddles the border between Arizona and Utah. The amazing backdrop of dramatic red rock against the shimmery water is stunning. 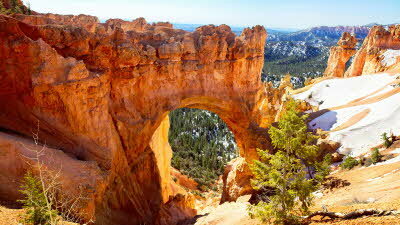 Take a boat trip to Rainbow Bridge National Monument or explore the many lakes, canyons and sand dunes on foot. Be sure to include a visit to one of the most photographed slot canyons in the USA - Antelope Canyon. Rise early and journey east to Monument Valley, where monolithic sandstone rocks rise up to 1,000 feet from the desert floor. Feeling a bit of déjà vu? The valley has been used as a setting for countless Western movies since the 1940s, so it’s bound to feel familiar. Monument Valley is truly at its most magical at sunset and sunrise, so plan your day accordingly. 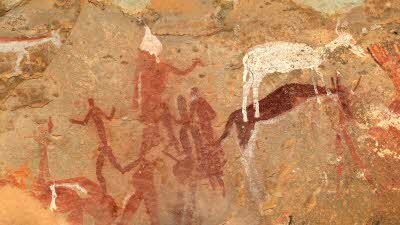 If you are keen to learn about the myths and legends of the area – a tour with a Navajo guide is suggested. It’s wall to wall scenery on your way to Moab in the heart of Utah’s dramatic canyonlands. 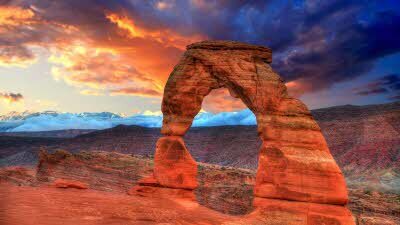 Most of Utah lies on a plateau 4,000 feet above sea level. 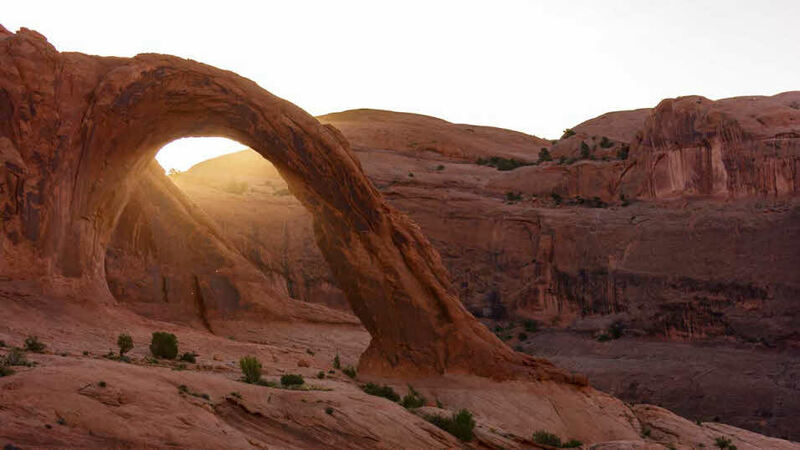 Explore Arches and Canyonlands National Parks, as well as the lesser known but still magnificent, Dead Horse State Park. White water rafting along the Colorado River, or a 4x4 jeep tour deep into canyon country can be arranged. Be sure to include Goblin State Park along your way today. The strange and colourful landscape is full of strange rock formations that resemble a huge gathering of goblins! The Waterpocket Fold defines Capitol Reef National Park. This 100 mile warp in the Earth’s crust was formed over 50 million years ago and will astound geology buffs. Capitol Reef is considered the most scenic part of the fold. Journey via one of America’s most dramatic drives – Highway 12 National Scenic Byway. The road is very narrow at the top, twisting through Dixie National Forest and across Boulder Mountain which exceeds 11,000 ft. and is the highest timbered plateau in North America. The eroding force of frost coupled with the dissolving power of rainwater has shaped the limestone rock in Bryce National Park into bizarre shapes including slot canyons, windows, fins and spires called hoodoos. Head for Fairytale and Sunset Point to see the best of these formations. 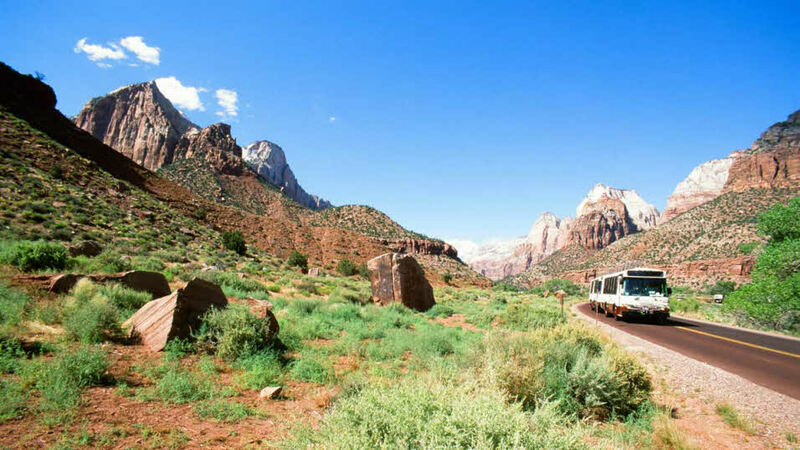 Continue on the scenic byway all the way to Utah’s oldest national park, Zion. 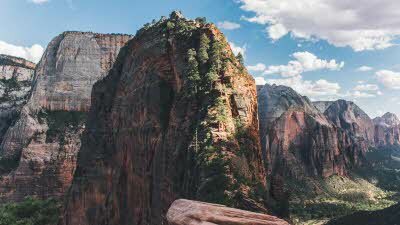 Once in Zion, you’ll understand why a writer experiencing the park commented, “It is here that the grandeur of the natural form unites with brilliancy of colour.” From sunrise to sunset, the changing scenes pass before you in awesome hues. 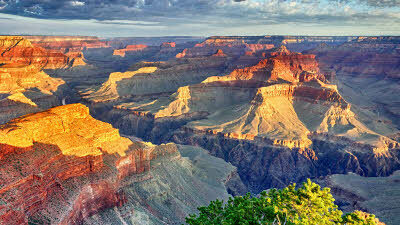 Be sure to watch as light plays upon the canyons and vistas in a dazzling light show. Surely this is another of Mother Nature’s masterpieces. 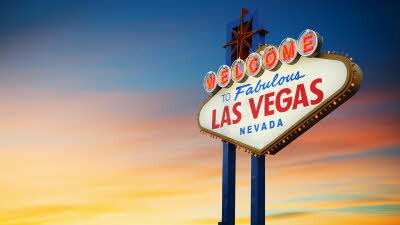 It’s a short drive back to Las Vegas today to drop off your motorhome for your early evening flight back to the UK. If you aren’t ready to leave the mind-blowing scenery just yet, consider a slight detour and a gentle drive through the flaming colours of Valley of the Fire State Park, Nevada. We can tailor your holiday to include extra days, activities and stopover destinations. 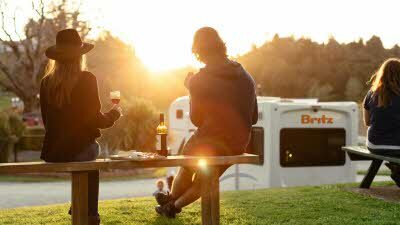 Speak to our team of friendly experts to discuss your ideal motorhome adventure. *Prices are per person based on two people travelling together. A single supplement will apply for solo travellers. Customise every aspect of your trip, from airlines and stopovers to the vehicle you drive. We've partnered with motorhome hire companies in our tour destinations to make sure you have comfortable, stress-free accommodation.